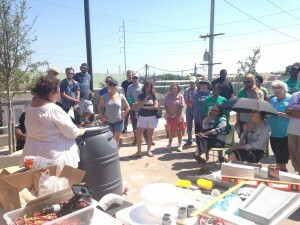 After Hurricane Katrina devastated New Orleans, the founders of what became Broad Community Connections (BCC) started attending community meetings, and exploring with their fellow community members how to rebuild a city in shambles. These conversations highlighted some of the seemingly intractable problems that many central New Orleans residents had faced even before the storm, such as economic disadvantage, community disinvestment, health disparities, and lack of access to many needed goods and services. After Hurricane Katrina devastated New Orleans, the founders of what became Broad Community Connections (BCC) started attending community meetings, and exploring with their fellow community members how to rebuild a city in shambles. These conversations highlighted some of the seemingly intractable problems that many central New Orleans residents had faced even before the storm, such as economic disadvantage, community disinvestment, health disparities, and lack of access to many needed goods and services. BCC was created to work on revitalizing Broad Street, a commercial thoroughfare running through the heart of the city and connecting several of the central city neighborhoods. “The biggest vision was just to make Broad Street a place where everyone from the community felt comfortable coming and lingering — rich or poor, black or white or Latino,” says BCC executive director Jeffery Schwartz. In the early 1900s, Broad Street was an economic hub. Years of disinvestment and new freeways that changed traffic flow in and around the neighborhood had decimated any sense of place, and had left the area with a depressing excess of fast food joints and dollar stores. Even so, area residents retained a rich, diverse cultural vibrancy, with longstanding New Orleans traditions like parade clubs and brass bands bringing people together, and numerous local small businesses tucked along the strip. Initially, BCC’s activities centered on streetscape improvements and community-building events such as barbecues, tree planting, and small outdoor concerts. But the organization quickly realized that to achieve the economic revitalization the community hoped for, Broad Street needed a major “catalytic” anchor retail project. ReFresh – a healthy food hub that includes a high-quality grocery store, a teaching kitchen for Tulane University’s culinary medicine program, a culinary job training and development program for at-risk youth, community meeting space, offices for other mission-aligned non-profits, nutrition classes, and an on-site urban teaching farm – is what eventually emerged. All of BCC’s work, including the ReFresh project, draws its inspiration and guidance from deep, sustained, multifaceted partnership with community residents, local businesses and organizations, and other entities with a stake in the well-being of the area. In the ongoing street revitalization work, “we just talk to a lot of people,” says Schwartz. There are also numerous more structured opportunities for ongoing communication. Early on, BCC undertook a strategic planning process with community residents and has also recruited a resident-heavy board of directors. Participating in a monthly collaborative that brings together residents’ councils and a range of other organizations gave BCC another venue for ongoing dialogue as the ReFresh project took shape. ReFresh opened its doors in 2014 though the path to get there was complex and often challenging. In 2010, BCC identified a former 60,000 square foot grocery store, centrally located on the 25-block strip, as the site for its proposed anchor project, and secured a grant to put down a deposit. Unfortunately, another buyer had beaten them to it. When the other buyer fell through, BCC was able to get into contract on the property and partnered with a developer; however the relationship with that developer didn’t work out. In 2011, BCC joined forces with L&M Development Partners, an experienced for-profit developer of mixed-income housing and mixed-use properties with the expertise (including financial) for a project of this type. For L&M, ReFresh represented an opportunity to strengthen the neighborhood around its Faubourg Lafitte mixed-income housing development three blocks away, providing jobs and increasing the economic stability and viability of the area. Revolution Foods, which supplies healthy meals to several charter schools in the city, seemed like an excellent fit as the project’s anchor tenant but backed out because it needed a faster timeline. Nevertheless, working with Revolution Foods helped to crystallize for the development partners the notion of a project centered on healthy food – a healthy food hub. Commitments in 2011 from Liberty’s Kitchen and Tulane’s Goldring Center for Culinary Medicine solidified the idea. By the end of that year, Whole Foods Market, the largest US grocery retailer focused on organic and natural foods, eagerly came on board, as well, as part of its own initiative to pilot stores in an “urban format” offering high quality yet more affordable foods in smaller stores. Whole Foods became the anchor tenant for the project. The last major challenge was resolving the financing. Despite strong interest from Goldman Sachs and JP Morgan Chase to provide loans and invest New Markets Tax Credits (NMTC), and despite loans and funding from several public and philanthropic sources, the project stalled. 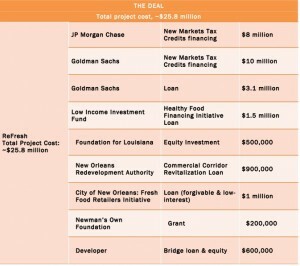 The “deal” could not meet the strict investment and loan terms required by each of the financial partners. This final roadblock was overcome when the Low Income Investment Fund (LIIF), a national Community Development Financial Institution (CDFI) that had previously worked with L&M, provided a more flexible loan, filling in the gaps to make the deal work. The project was a go, broke ground in 2013, and held its grand opening in October of 2014. 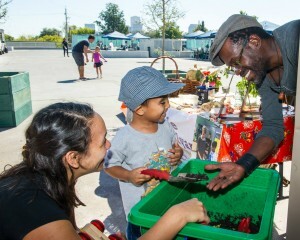 ReFresh brought a high-quality grocery store to a low-income food desert and created a multi-faceted hub to improve healthy food access, foster community connectivity, and anchor economic development. 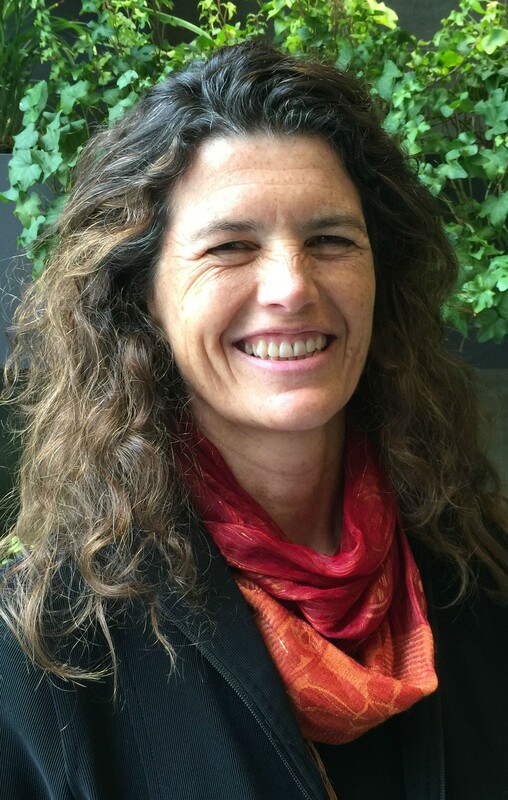 The resulting ReFresh project is an innovative “Community Health Hub” that coordinates and aligns a range of partners in order to holistically address the social and environmental determinants of health. BCC has convened a group of more than 40 partners, called the ReFresh Coalition, in order to develop food, health and community-building events and programming on and from the site. With the coalition, BCC has adopted a collective impact approach to improving short- and long-term health outcomes. ReFresh partners provide fresh food access, culinary and nutrition education, youth and workforce development, healthcare access, gardening and fitness classes, and access to wraparound services. In the end, Refresh brought a high-quality grocery store to a low-income food desert and created a multi-faceted hub to improve healthy food access and local food systems, foster community connectivity, support youth development, and anchor economic development. From concept to completion, the project took over four years, driven at the outset by a community group with little funding and no development experience, but which came to serve as a “community quarterback” for the effort. The winning approach throughout was the persistent and thoughtful process of engaging partners until eventually, the right partners and the necessary components of a viable development project were in place. Broad Community Connections and L&M Development Partners led the process to develop ReFresh. Whole Foods Market is the major anchor tenant for the site, as part of its own initiative to serve lower income communities. 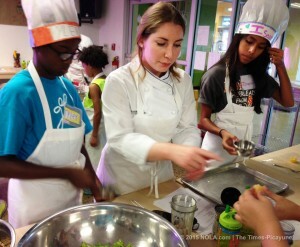 Tulane University brought its Center for Culinary Medicine to the project, offering cooking education to medical students and community members. Liberty’s Kitchen, a social enterprise, provides youth development and job training in a commercial kitchen that caters school lunches throughout the city. Several partners together run the urban farm, and ReFresh hosts the administrative offices of FirstLine Schools (a founding participant in the Edible Schoolyards program and one of New Orleans’ several charter school companies), while Boys Town provides services to at-risk children and youth. BCC, Whole Foods, Tulane’s Goldring Center, Liberty’s Kitchen, and others lease space on site from the developers, while integrating and coordinating their programming. Tulane’s Goldring Center for Culinary Medicine chose the ReFresh site rather than a less expensive location in order to be part of this healthy food hub, centered in the community. The core purpose of the center is to train medical students to talk with their future patients about food. “Not about micronutrients, not about monounsaturated fats,” emphasizes center director Timothy Harlan, “but about food.” Some of the learning opportunities and synergies, says Harlan, have been totally unexpected. The center also offers classes to community residents, and it is the medical students who teach these community classes. Harlan describes the medical students as the “force multiplier” that allows the center to serve the community; at the same time, students get to work with patients much earlier in their medical school program than they typically would, and gives them direct, immediate experience applying the lessons they learned in cooking class. The center has also developed a Continuing Medical Education (CME) curriculum which it offers on-site, bringing groups of physicians to New Orleans for a few days for the course, and further contributing to the city’s and Broad Street’s economic vitality. A board member’s contacts helped the development team approach Whole Foods Market. In addition to piloting its new format stores, Whole Foods Market was also just establishing its Whole Cities Foundation, a philanthropic enterprise aimed at partnering with local community groups to bring healthy food options into underserved communities. ReFresh became the Whole Cities Foundation’s first such partnership, receiving $100,000 to support and evaluate a community outreach program. Board member relationships also linked BCC to MIT urban planning professor and main streets expert Karl Seidman, who advised the group. Broad Community Connections is a Main Street America project through the National Trust for Historic Preservation. Both affordability and gentrification were raised as concerns by community residents in planning discussions about the project, particularly with the introduction of Whole Foods Market as a potential partner. BCC’s Schwartz believes strongly, however, that long disinvested communities deserve high-quality investment, done thoughtfully. 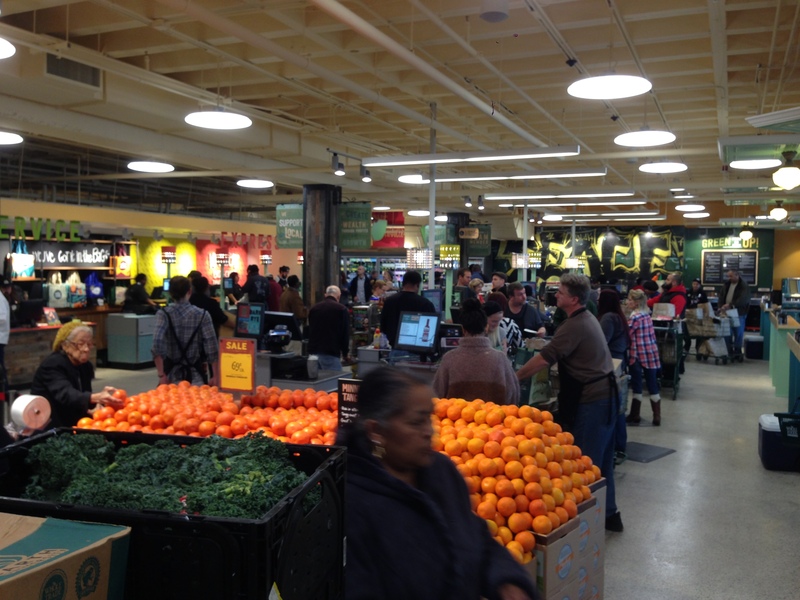 Whole Foods would be introducing a new format store here, geared to greater affordability. It also committed to hiring locally, and adjusted its application process (usually exclusively conducted online) to be more accessible to neighborhood residents. Substantial concurrent development or redevelopment of public and subsidized housing in the area also helped assuage gentrification concerns. Numerous smaller meetings as well as a larger town hall style meeting enabled the development partners, tenant partners, community residents, and other area stakeholders to address such questions together, head on. Substantial concurrent development or redevelopment of public and subsidized housing in the area also helped assuage gentrification concerns. Numerous smaller meetings as well as a larger town hall style meeting enabled the development partners, tenant partners, community residents, and other area stakeholders to address such questions together, head on. While the core partners for this project came together to build ReFresh itself, collaboration extends substantially beyond the on-site tenants and has been a part of BCC’s approach from the outset. BCC partners with and supports existing small businesses along the corridor, such as beauty shops, small eateries, auto repair shops, and small legal and financial practices, as well as a longstanding parade club and local churches. The award-winning Iconic Signage project, a BCC initiative in partnership with New Orleans artists and artisans, aims to create a distinctive visual identity for the corridor. BCC also participates in the NewCity Neighborhood Partnership, a coalition of the groups working on revitalizing the contiguous neighborhoods. The ReFresh project required multiple financing partners. CDFI the Raza Development Fund provided a $2.4 million acquisition loan. JP Morgan Chase and Goldman Sachs both provided New Markets Tax Credits equity investments. Goldman Sachs also provided a significant loan. 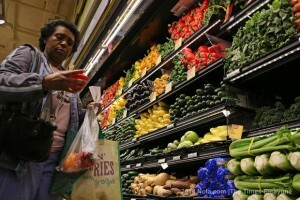 The project was eligible for healthy food financing from the city through the New Orleans’ Fresh Food Retailers Initiative, and for federal Healthy Food Financing Initiative funds from the US Treasury’s CDFI Fund, via LIIF. It also qualified for a Commercial Corridor Revitalization grant from the New Orleans Redevelopment Authority and received grants, loans and program-related investment from philanthropic organizations. Whole Foods Market’s build-out of its space in the building cost an additional $5.3 million beyond the basic project construction costs. LIIF was asked by L&M to come in at a key juncture when the project stalled. ReFresh had a strong development team, a committed anchor tenant and several other tenants, public and philanthropic financing and funding lined up, and interest from banks. However, as structured, there remained financing gaps that the project could not meet. Not all of the space was leased, and the anchor retailer was piloting a largely untested store format, making the project riskier, and reducing the amount of financing that the commercial investors could invest. LIIF provided a long-term (25-year) loan, subordinate to the seven-year commercial loans coming from Goldman Sachs and JP Morgan Chase. To spread the risk, and to make the payment terms more manageable for the development partners, LIIF negotiated with the public and philanthropic funders so that they, too, extended the terms of their loans to 25-years. Critical to LIIF’s involvement were L&M’s track record and the availability of the somewhat more flexible HFFI funds that allowed LIIF to participate in a deal that was outside the usual underwriting standards for its loans. BCC’s recognition that the economic revitalization of Broad Street would require a “catalytic” anchor retail entity and the neighborhood had a suitable site available at the old grocery store. BCC’s decision to partner with an experienced developer, and L&M’s interest due to its nearby mixed-income housing development. Whole Foods’ new initiative to develop “urban format” stores, and interest in piloting the model at ReFresh. The project’s eligibility for to New Markets Tax Credits and healthy food financing. LIIF’s ability to join the project based on trusted relationships; its ability to fill the financing gap to close the deal; and the eligibility of the project as a “food desert” that allowed LIIF to deploy more flexible Healthy Food Financing Initiative funds. While ReFresh opened its doors recently and no health outcomes are yet available, the Prevention Research Center (PRC) at Tulane University is designing evaluations to measure the effects of the healthy-food hub. PRC has already conducted a baseline qualitative survey of 900 households, half in the ReFresh neighborhood and half in a comparable neighborhood that does not have a healthy food hub. The survey focuses on such things as knowledge about healthy food, shopping behavior, and eating behaviors. Though funding for follow-up has not yet been secured, the intention is to conduct another such survey 12-18 months after opening. PRC has conducted a baseline qualitative survey of 900 households, half in the ReFresh neighborhood and half in a comparable neighborhood that does not have a healthy food hub. The partners are also exploring other ways to assess health outcomes that might be produced by the joint programming on the site. One idea is to identify a cohort of residents diagnosed with diabetes and assess effects on their diabetes of participating in “the whole ReFresh program” as Schwartz puts it. This would include shopping and nutrition guidance from Whole Foods nutrition educators, cooking classes at the Goldring Center, gardening classes on the urban farm, onsite exercise classes or walking group, and SNAP benefits (formerly Food Stamps) registration. Because diabetes responds very quickly to changes in diet and exercise and blood sugar can be easily measured, the project would have a quick indication about how effective its combined efforts are. For its part, the Goldring Center takes a continuous quality improvement approach to its cooking classes, both with medical and allied health students and with its community students. It assesses student learning with each cohort, and, for community members, also studies retention rates in the program (which are a very high, at 75%), and looks at why enrollees who drop the program or fail to begin it do so. The Goldring Center’s evaluation efforts are bolstered by medical students, who are able to meet some of their medical school research requirements by conducting program evaluation research for the Center. Schwartz sees additional opportunities to assess and evaluate ReFresh over time, noting that each of the project’s partners has different data and evaluation assets and capacities. Whole Foods, for example, has very sophisticated customer data, but to date has not used it to evaluate health outcomes; and the urban garden has records of who has participated in its classes. BCC is working to develop ways to weave these different sources of data together to learn more.